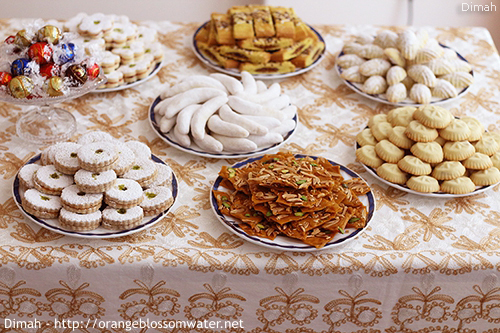 This post is about sweets I prepared for Eid Al-Fitr. 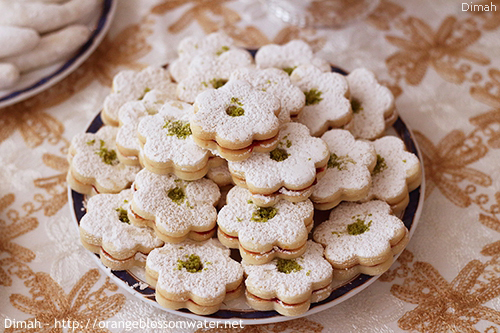 Ma’amoul are small shortbread pastries filled with dates, pistachios, or walnuts. 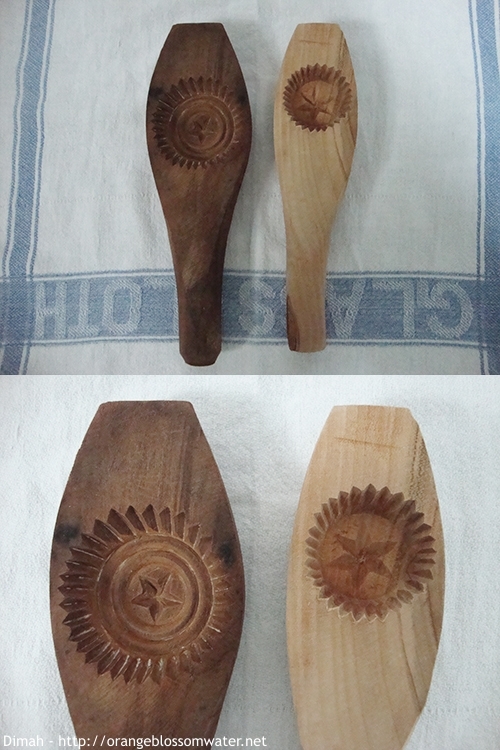 They are prepared using special wooden molds. 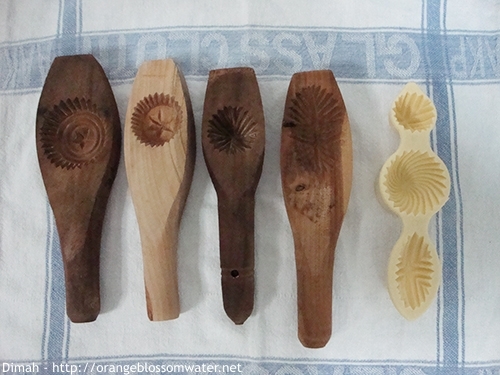 See the picture of molds here. 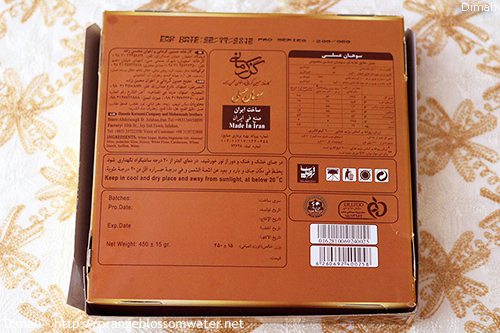 The dough is prepared from flour, smid farkha (semolina flour), butter, powdered milk, confectioner sugar, orange blossom water, and rose water. 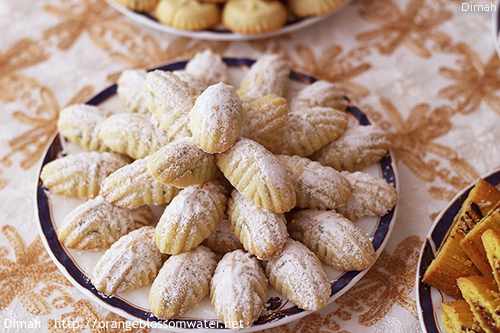 Ma’amoul Bet-Tamer means Ma’amoul filled with date paste, the filling is date paste mixed with some butter. 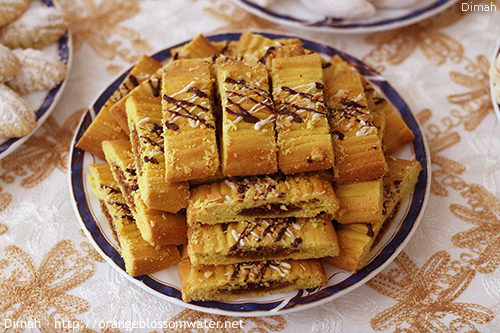 Ma’amoul Bet-Tamer is always prepared in this shape and it is served without dusting with confectioner sugar. 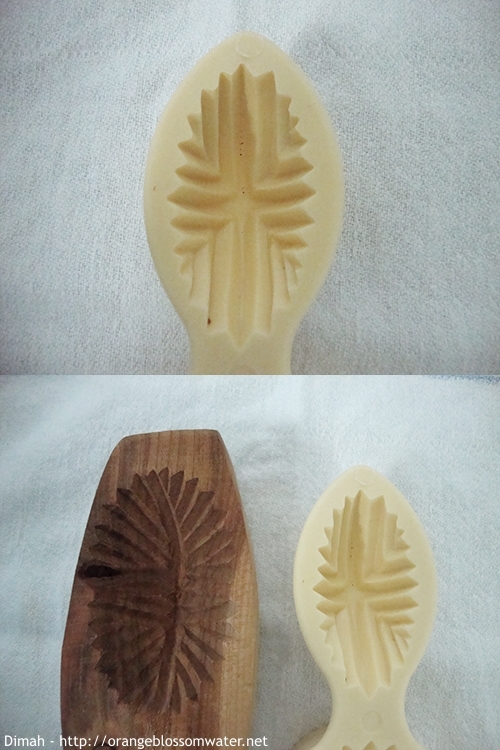 See the picture of the mold used to make this shape here (the molds shown in the picture are two sizes, small and large, I used the small one). 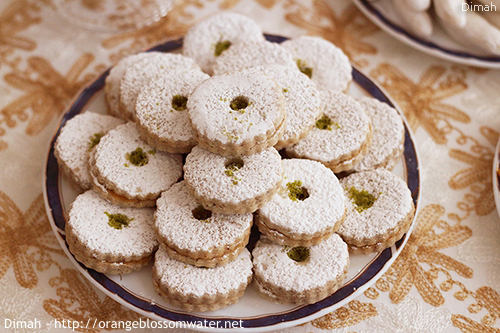 Ma’amoul Bel-Fustuq Al-Halabi means Ma’amoul filled with pistachios, the filling is prepared from crushed pistachios, orange blossom water and confectioner sugar. 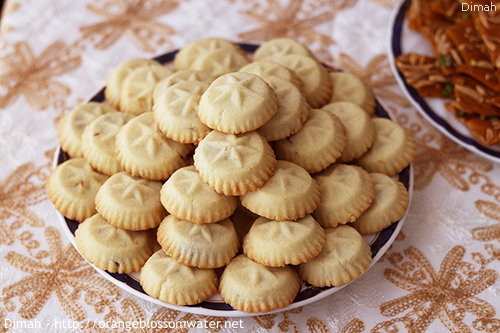 Ma’amoul Bel-Fustuq Al-Halabi in the picture is the one dusted with confectioner sugar, it is always prepared in this shape and should be dusted with confectioner sugar when served. See the picture of the mold used to make this shape here and here (the molds shown in the picture are two sizes, small and large, I used the small one which is the plastic one). 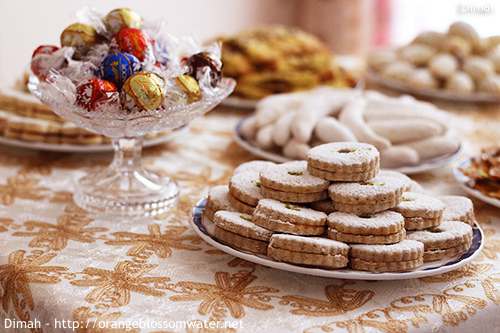 Dough is flavored with cinnamon, and the filling is apricot jam. Dough is flavored with almond extract, and the filling is raspberry jam. Tcharak (Horn of the Gazelle) is Algerian crescent shaped pastries. 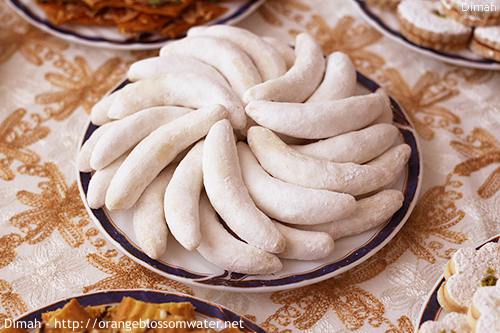 There are many types of Tcharak, the one I made is called Tcharek Msakar which means coated with sugar. 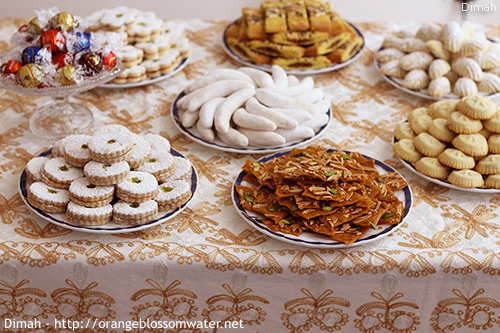 The dough is prepared from flour, melted butter, and orange blossom water. 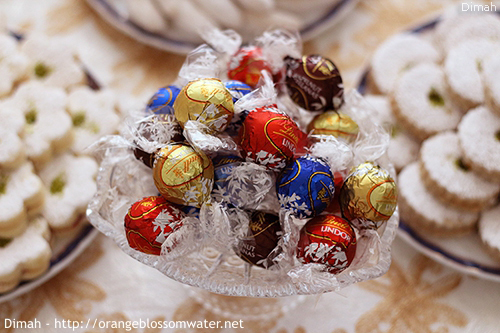 The filling is ground almond, confectioner sugar, and orange blossom water. 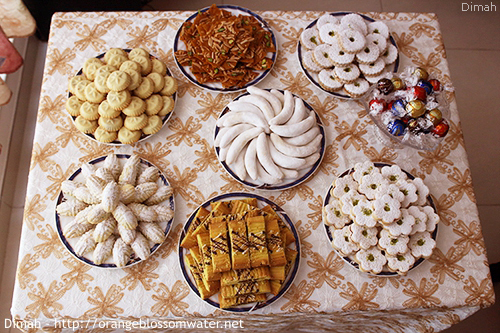 After baking, the pastries are dipped in orange blossom water then coated with confectioner sugar. 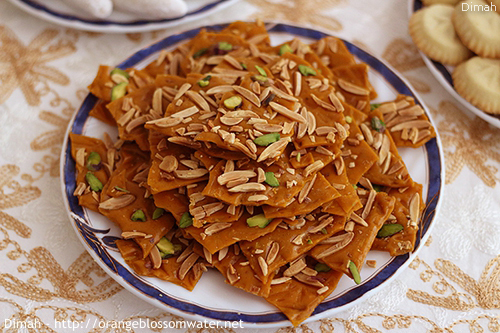 Sohan Asali is Persian honey saffron brittle. 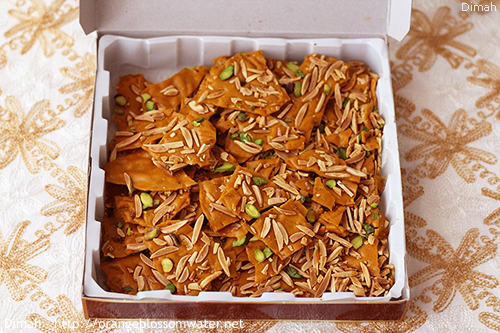 It is prepared from honey, sugar, saffron, almond or other nuts and cooking oil. 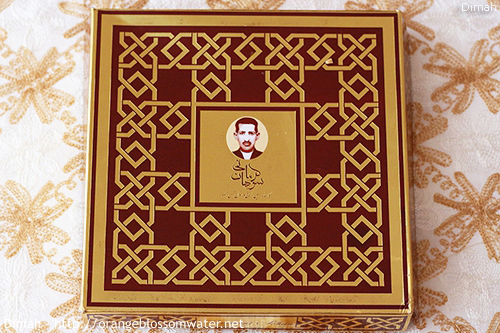 I bought Sohan Asali from the brand Kermani Gaz . (Note: this is not a advertisement, they don’t know me or my blog). This entry was posted on Saturday, July 25th, 2015 at 8:26 PM	and is filed under Celebrations and Occasions. You can follow any responses to this entry through the RSS 2.0 feed. You can skip to the end and leave a response. Pinging is currently not allowed. 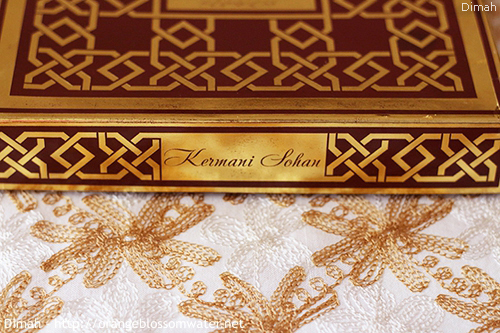 Kerman sohan ? hummm ! aie dad e bidad !!! Ah Iran, Tehran va Rasht ! I just discovered your blog and love reading through it. 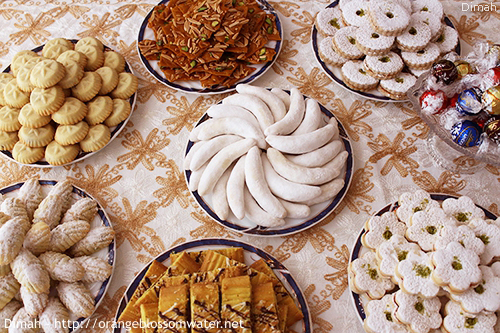 Do you have the recipe for the persian cookies with fig paste? They look Delicious. 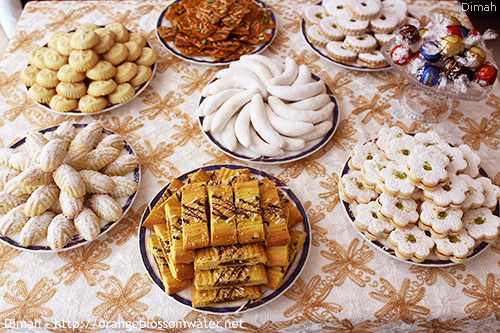 Alia: indeed cookies are so delicious, but unfortunately they are purchased not homemade. 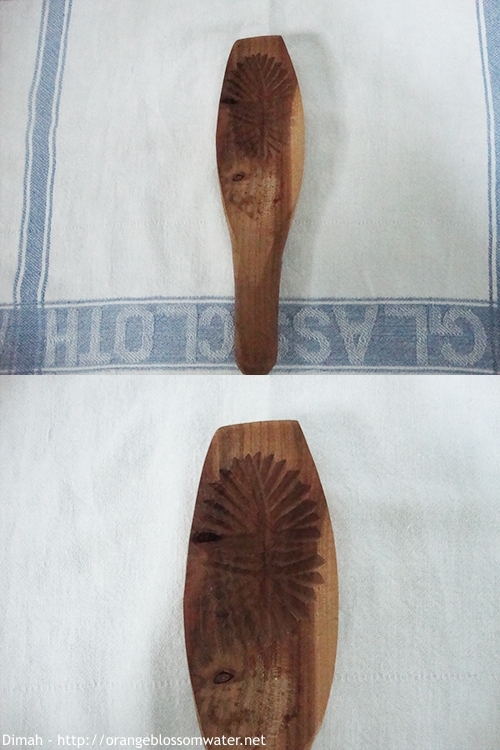 And Of course If I find a recipe, I’ll post it on my blog. Thank you so much for visiting and for your kind words.